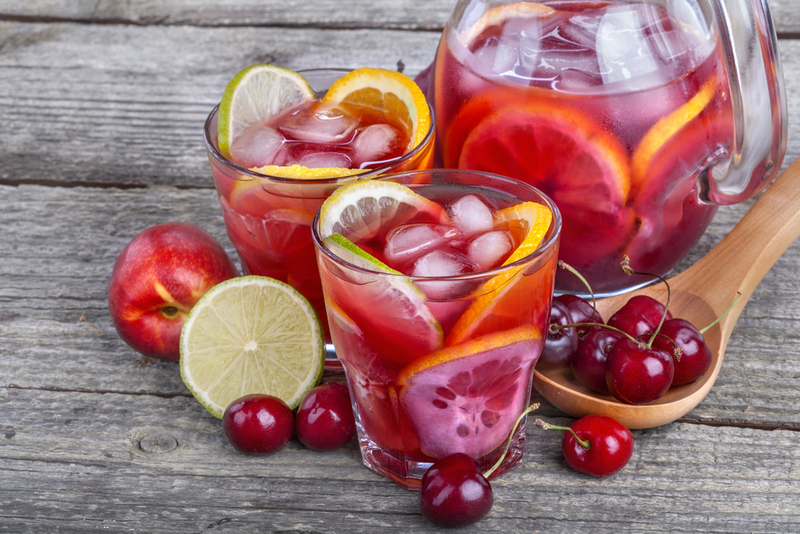 Grownups and kids alike will adore this zippy iced tea, with its summery mix of black and hibiscus herbal tea that’s punched up with lemon juice, sugar and lots of fresh berries. From Woman’s Day Kitchen. 1. Place tea bags(if using hibiscus flowers, place in now) in a heatproof pitcher. In a 4-qt saucepan, heat water to a boil. 2. Pour it into the pitcher and steep tea bags for 10 minutes. 3. Remove tea bags; let cool and refrigerate, covered, until cold, about 1 hour. 4. Stir in sugar and lemon juice. 5. Add ice, berries and lemon slices to pitcher.